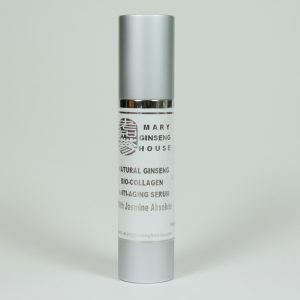 A powerful anti-wrinkle and skin renewal treatment serum. A perfect skin-care product for a non-surgical facelift. We use only a high concentration of ginseng essential oil, natural collagen and pure jojoba ester. Ginseng contains amino acids, which is a natural protein for skin growth, and other active ingredients, such as ginsenosides to provide nourishment to the skin and speeds up the circulation in small capillaries under the skin layers, which revitalizes and strengthens skin tissue. 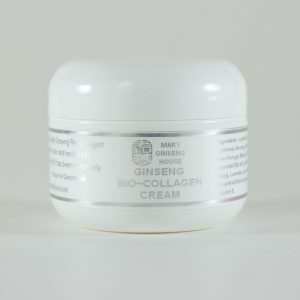 The ginseng also exhibits soothing and calming effects for skin irritations. Ginseng contains multiple vitamins notably vitamins A, C and E, which are important factors in reducing the harmful effect of free-radicals, caused by sunlight. This serum also helps to lighten brown spots, aging spots and liver spots. 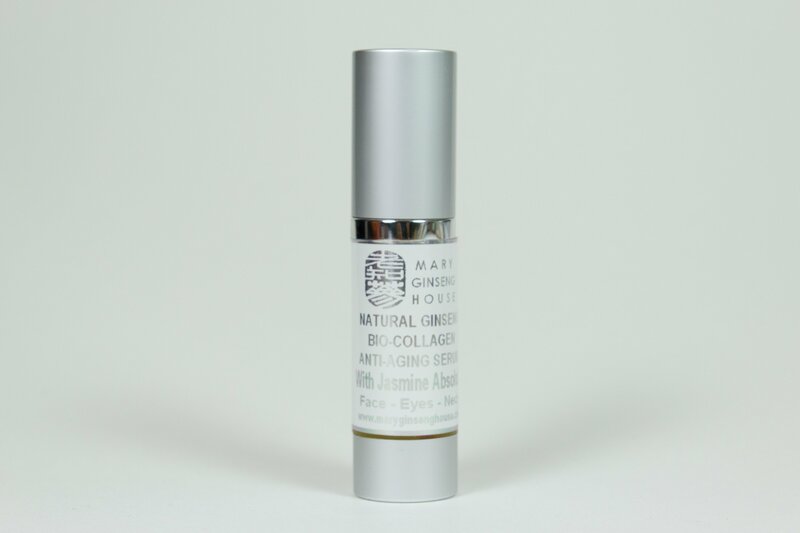 This serum is also blended with a top-quality collagen ingredient Biodynes EMPP derived from plants, which serves as a rich nourishment to skin tissues and promotes the reproduction of collagen and elastin in skin. Biodynes EMPP (Promotes collegen & elastin production in the skin): The extra-cellular matrix of human skin is comprised of Collagens, Elastic Fibers (of which elastin is a major component), and the Basement membrane associated macromolecules such as proteoglycans, fibronectin and laminin. As skin ages both intrinsically and through photoaging, the aging process is manifested on the skin as the visible signs of aging – including sagging skin, wrinkles, and loss of skin elasticity. The jojoba ester is light in texture, a natural non-greasy emollient which does not clog pores. Given its small molecular structure and deep penetration property, it is used as a carrier-oil for the ginseng and the natural collagen ingredients. It helps the active ingredients to penetrate quickly into the skin. Use it regularly and it will help prevent pre-mature skin aging and reduce fine lines and wrinkles. 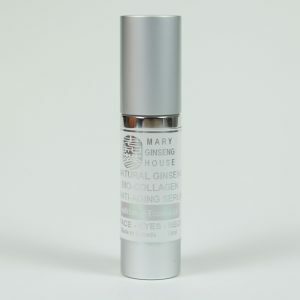 Apply Mary Ginseng House’s Bio-Collagen Cream to skin following the use of this Bio-Collagen Serum which provides extra protection to the skin from extreme external environments, such as the wind and the harmful UV rays from sunlight. High concentration of Ginseng essential oil, Biodynes EMPP, pure Jojoba ester, Chamomile Roman essential oil, Ylang Ylang essential oil, Lavender essential oil and Jasmine absolute. After the skin is cleansed with our Ginseng Cleanser and Ginseng Toner, apply 2 – 3 drops onto still moist skin. Massage gently until it has been completely absorbed all over the face and neck areas. Use twice daily, in the morning and at night. 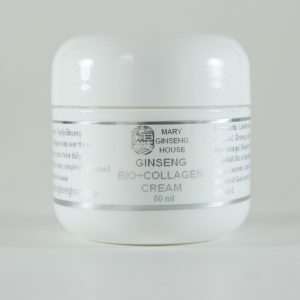 For best results use with Mary Ginseng House’s Bio-Collagen Cream.